For this canal session I was really in two minds as to what I wanted to fish for balanced against what I was likely to catch. 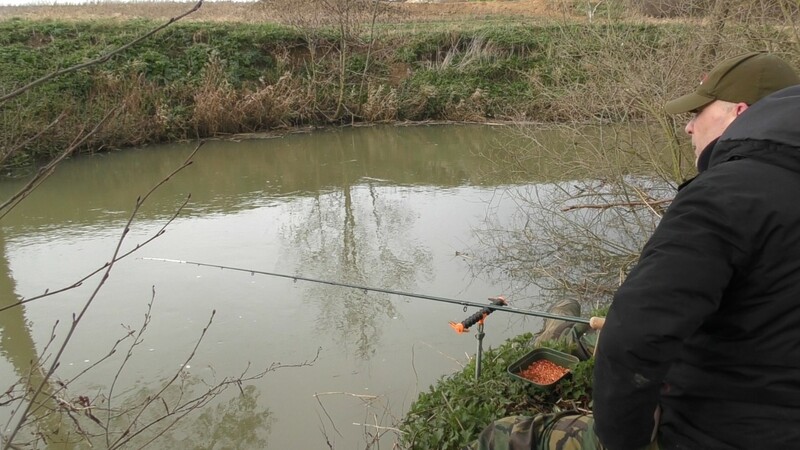 The weather was still cold and the water likewise and I am a great believer that part of the skill in angling is in deciding the species that will be targeted in any particular conditions. I was also aware that my friend Mick has fished for zander the previous day and managed only on schoolie from a usually productive stretch. My two main aims for this closed season canal fishing were a decent roach and zander. 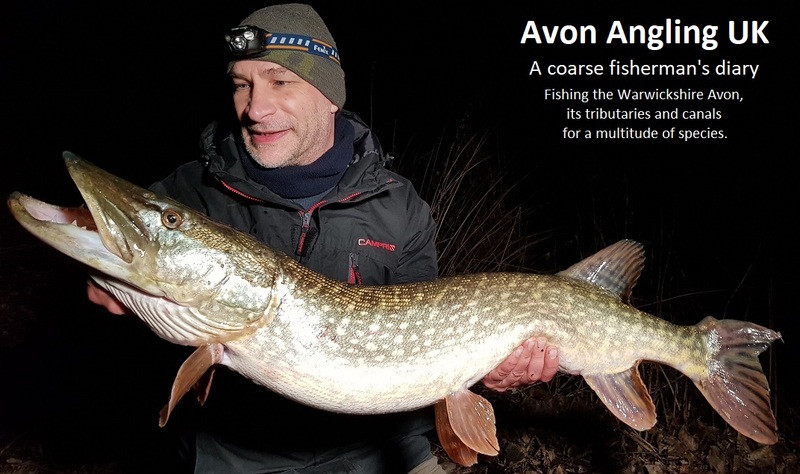 I am not one for pounds and ounces and had no intention of putting figures on the size of the fish I wanted to catch but rather let my satisfaction or frustration be the judge as to whether I had been successful. My indecision won out and I decided a bit of both was the order of the day. 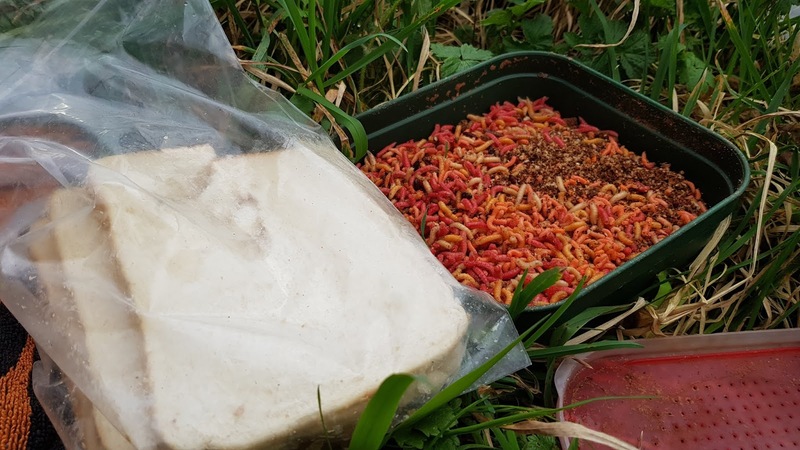 I would take the zander rods and deadbaits but also some bread, maggots and a float rod replete with centrepin, but still travelling light enough to be very mobile. Next decision to be made would be where to fish. I discounted many areas I had fished last year and had been totally unproductive when fishing for silvers. No point in taking the float rod and fishing barren stretches. However my head had been turned on several occasions by a beautiful area of canal, right off the beaten track, which looked absolutely perfect for roach. 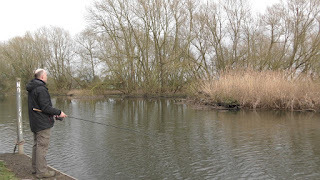 Although I had never got round to fishing it last year it was not too far from an area where I had caught bream, roach and hybrids previously so I could hedge my bets somewhat. 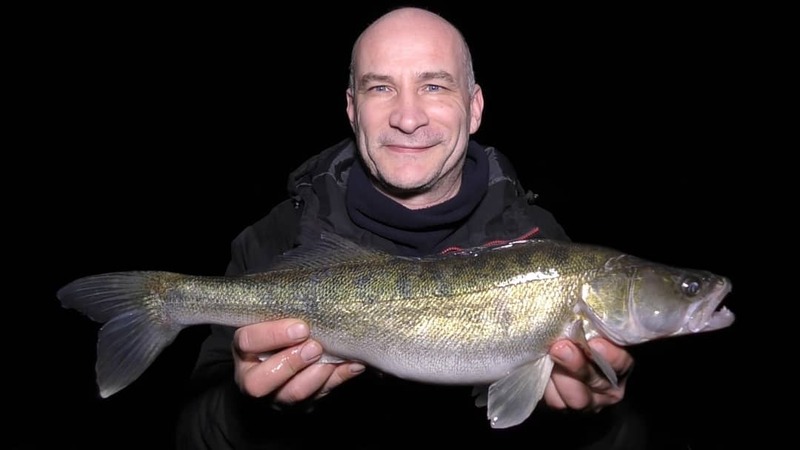 I had never caught a zander from this area either but if it held roach, and my gamble was that it did, then the zander would surely be there also. I walked to the far end of the stretch, as is my usual way, with the intention of working my way back towards the car as dusk fell. I intended to fish into dark but exactly what time I would finish depended on how quickly the action came. 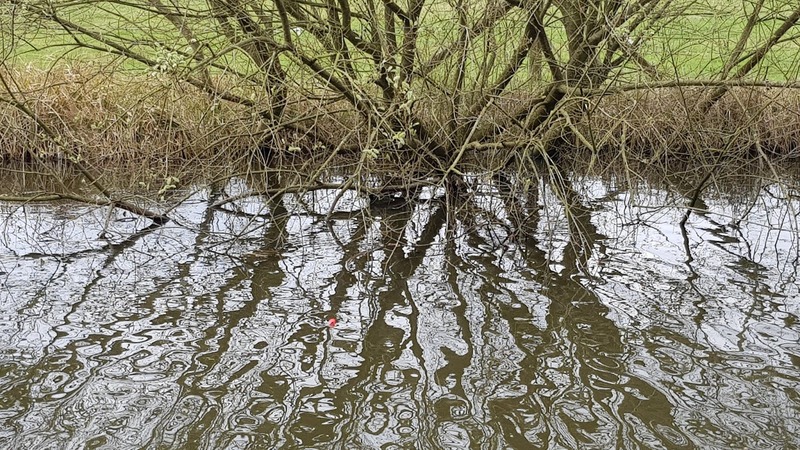 The most prominent feature on this stretch was a tree whose branches reached into the water providing a sanctuary which I was sure would hold zander. With that in mind a smelt was attached to the first rod and it was swung to the cover. No sooner as it had hit the water and the float settled I put the rod on the ground, only to look up to see it bobbing and moving sideways. Blimey! That didn't take long. Fab. 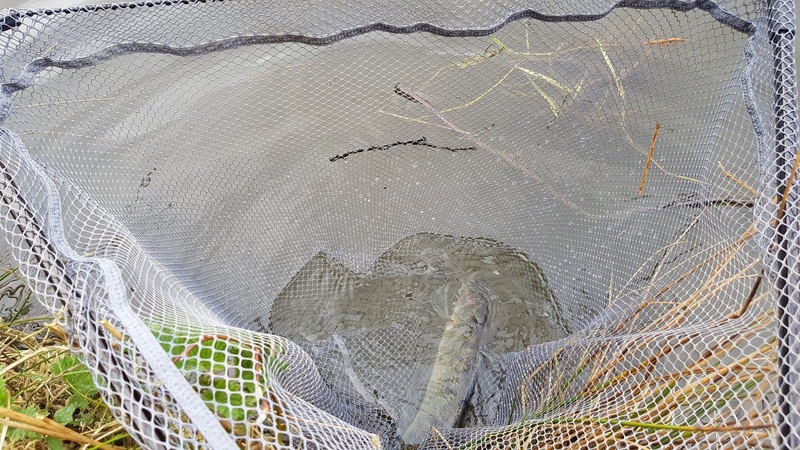 After a short tussle a schoolie of a pound or two was wallowing in the landing net. What a great start. After the initial action the tree proved to be fruitless so I moved on. A couple of further interesting areas were tried but with no interest from the zander. I was now in the heart of what looked prime roach real-estate so it was time for a change. 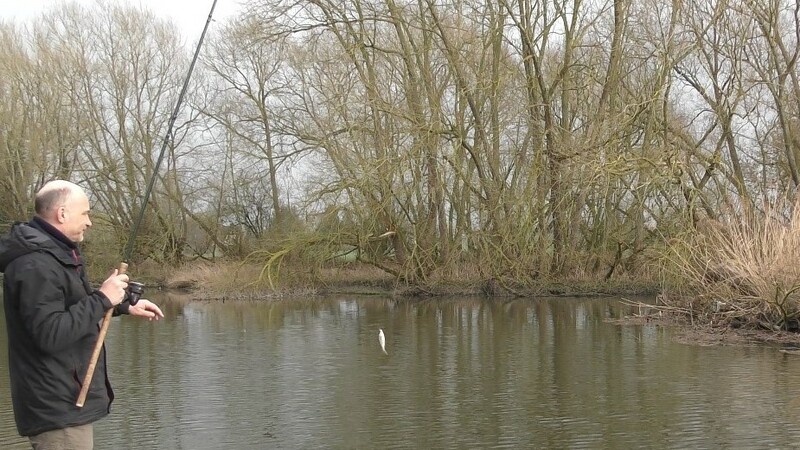 The deadbait rods were exchanged for the float and pin, although one of the zander outfits was dropped in to the middle of the boat channel "just in case" and positioned a few metres away where I was able to easily keep an eye on it whilst concentrating on the more delicate approach required if I was to bank a redfin or two. I deployed a little groundbait, consisting of liquidised bread mixed with a generous helping of a proprietary brand which has a lovey aroma. 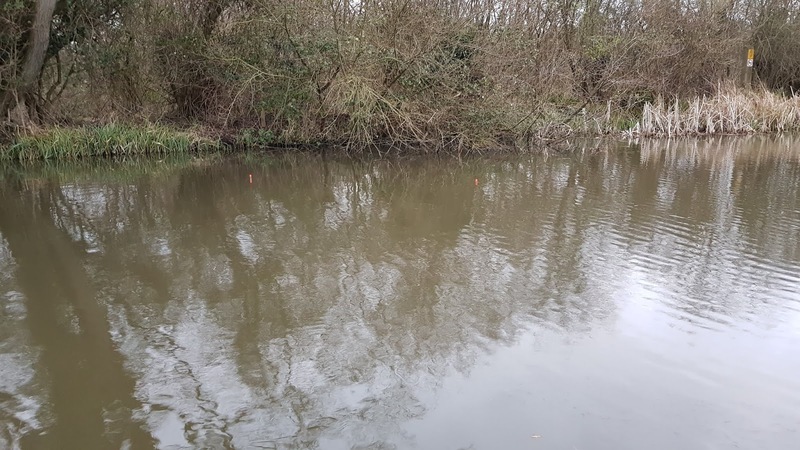 Five or so maggots were also flick into the water at regular intervals around the orange tipped float that was now settled in the water. 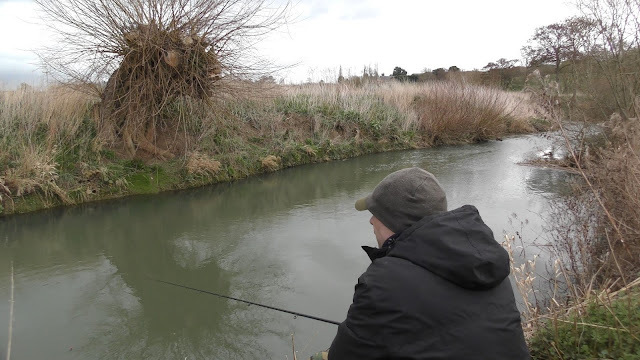 I had decided to fish the lift method, something which I haven't done for over twenty years but the technique quickly came back and and I was surprised and chuffed as the float rose through the surface after having been in the water for only a few moments. A strike produced nothing so another piece of Warburtons finest was attached to the hook and swung out. After a few minutes of inactivity I decided to change to red maggots, thinking it may be small fish in the area that were packing at the bread but not taking it properly but it would be nice to see what was there. I was treated to a bite almost immediately and this time the strike connected and a lovely roach was soon nestling in the landing net. What a great start. I was over the moon. Another similarly proportioned roach soon joined his companion. I tried bread again and this time connected with a very positive bite and as soon as I did so I knew this was no roach. It charged left and right through the swim and I got it's head up to reveal a hybrid in the murkey water. Not a surprise with the fight it had given. These hybrids really do scrap. 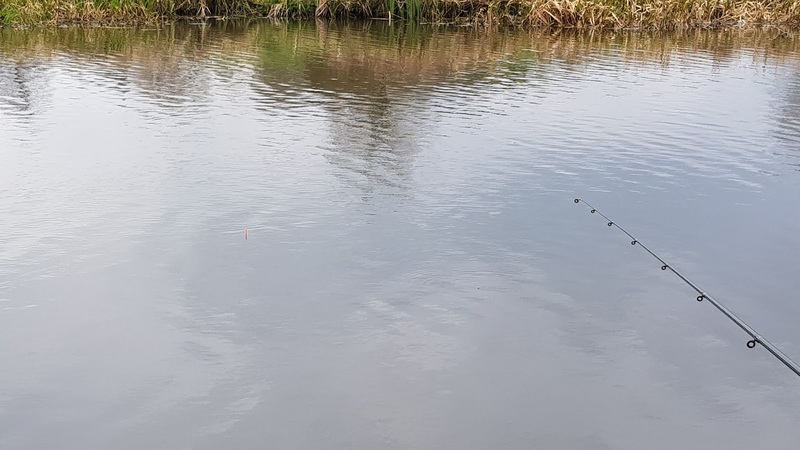 However it unfortunately found a way to dislodge the hook before it could be landed and not surprisingly the swim died for twenty minutes or so. Just as I was thinking of calling time on the roach fishing the float rose once more from the water and a strike connected with what would be the largest of the trio of redfins. I was both chuffed and elated that I had got location and tactics right first time and things had all dropped into place. After another fifteen minutes of inactivity I decided to move on. As I reeled in the waggler I looked over to the zander float to be pleasantly surprised to see it give a couple of bobs and then skate sideways across the surface. I quickly wound down to the fish and the rod hooped over. This was no schoolie and even took line from the Shimano a couple of times. However it was soon subdued and resting in the net. Definitely my pb from the canal although I didn't feel the need to weigh it as it wasn't a leviathan but it was certainly much bigger than any previous cut captures. What a session it was turning out to be. I fished into dusk and slightly beyond and was joined by my friend James who had intended to fish but was late leaving work so didn't arrive in time to do so. We had a chin-wag anyway and made a few plans to get together in the next few weeks. I called time on the session just as it had got properly dark, well, as there was just enough light to see the early risers of the bat world silhouetted against the sky. 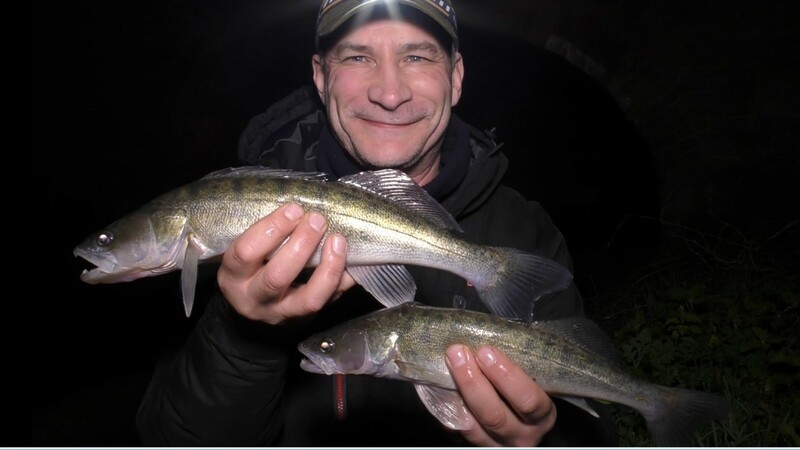 I reeled in the first of the two zander rods, detaching the float and weight and folding it down, when I looked up to the one remaining float whose orange top now glowed in the light of my head torch. James pointed out that it had cocked, having until a moment before been lying flat on the surface. It then proceeded to twitch, bob and move across the water. Talk about last knockings! A spirited scrap ensued before another beautiful zander graced the landing net, James doing the honours for me. 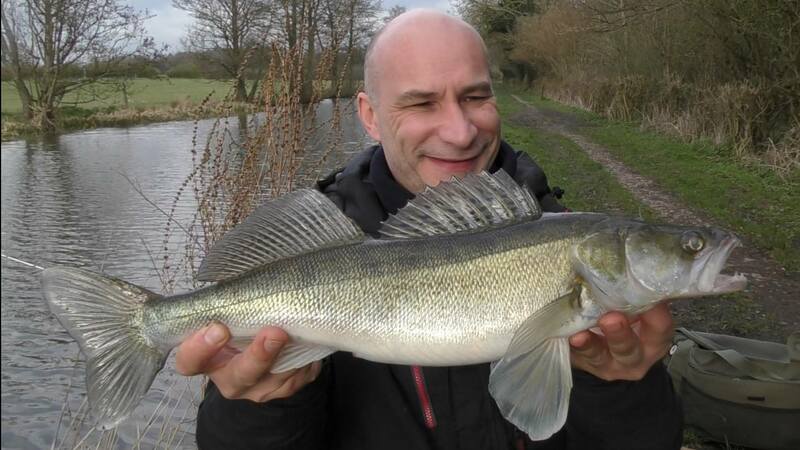 What a great session it had turned out to be and this angler drove home a very happy chappy. 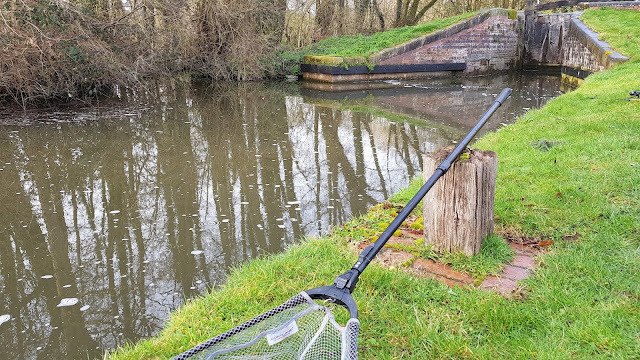 I think it's fair to say that my first experience of the Midlands canals, during the last coarse fishing closed season, did not have me enamoured with their charms or productivity...with a couple of notable exceptional sessions. I'm sure it may well have been my lack of knowledge of locations or suitable tactics which did little to helps things. Being a creature of habit I found it difficult to shrug-off my river fishing garb. 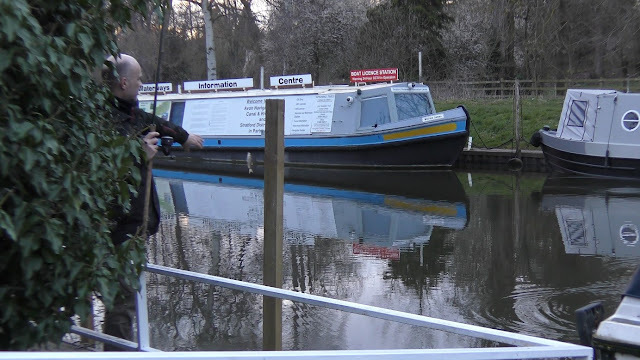 However, help was at hand in the shape of Mick from Piscatorial Quagswagging who has immense experience on these tricky waterways and did his utmost to put me on the right track. I will be eternally grateful to him for sharing his hard-earned knowledge with a canal novice such as myself. I eventually began to get to grips with these murky waterways, but, after the mandatory three months of abstinence from my beloved Avon I could not wait to return to the flowing water on 16th June. I have not returned to the canals since. However, 14th March has come and gone again and it is more out of necessity to stave-off the angling cold turkey than love of the canals that has me treading the turd-ridden towpaths again. This year though I have some experience under my belt and knowledge of what and what not to do (more not what to do in all honesty). So it was with less trepidation and more focus that I embarked on the first session of this campaign. My targets were, in the first instance, to be the zander that frequent these waterways. I love these prehistoric-looking creatures and find I can't leave them alone for too long before the itch becomes unbearable and I have to get after them again. My second target would be a decent canal roach. 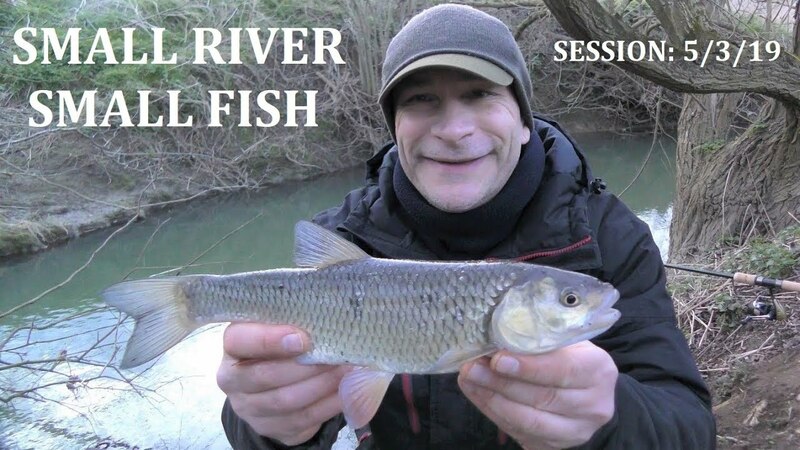 Spurred on by a couple of decent sessions after the roach, bream and hybrids last year and my enjoyment of catching a few modest roach from the small river in the winter I think it's an achievable target. Help and encouragement came in the form of a youtube video that Mick suggested I watch. 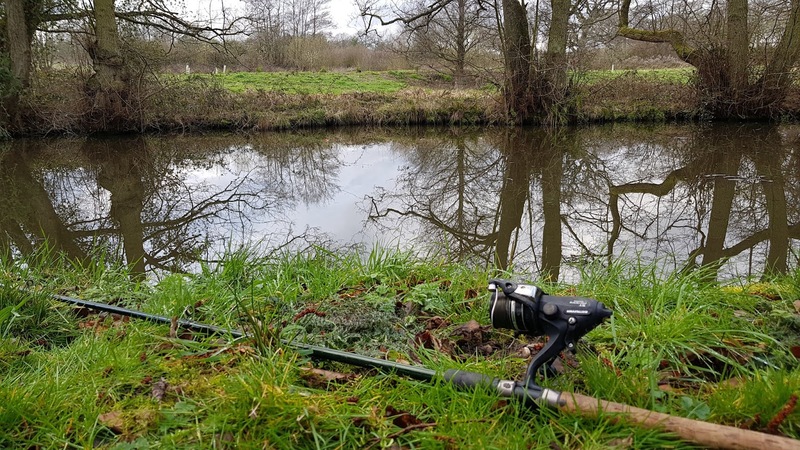 It is a collaboration by local blogger George from Float Flight Flannel and is a wonderful and informative film of his exploits seeking and catching redfins from the canal network. It brought to mind that fantastic series "A Passion For Angling". 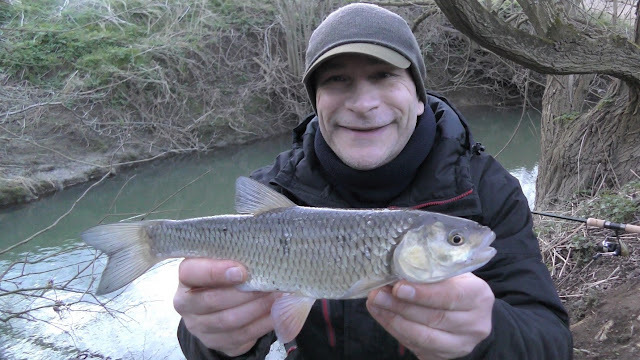 I thoroughly recommend viewing Big Canal Roach In Winter when you have a few minutes. Being a vlogger myself I can fully appreciate the hours and hours of effort that goes into producing such a fantastic piece of work. So, onto the first session. I decided, and I'm not sure exactly why, to start my campaign on a section I had not fished or even walked before. Google maps being my only source of information but it looked perfect. 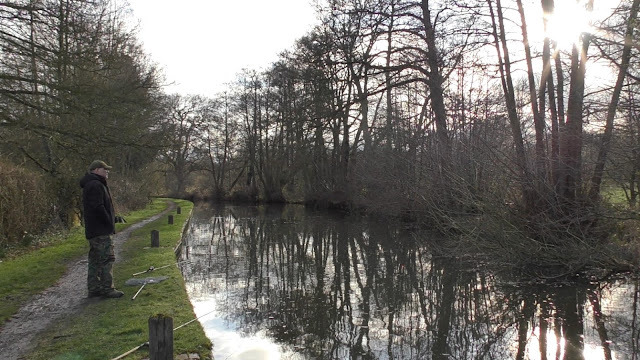 Long stretches of tree-lined canal which would provide cover, hopefully holding zander, punctuated by a couple of locks with their associated bypasses and oxygenated water. I knew before I started that it would be tough going with the water still being cold. Mick had fished the previous day and had had just one zander replete with leeches which showed the fish were lying up. I would have to find them. I walked to the far end of the stretch in the drizzle and began fishing. Tactics would be two float-legered deadbaits, one smelt and one roach, both of which would be regularly boosted with an injection of smelt oil, something which I have found to be very beneficial on the Avon and I figured there would be no reason it shouldn't do the same on the cut. 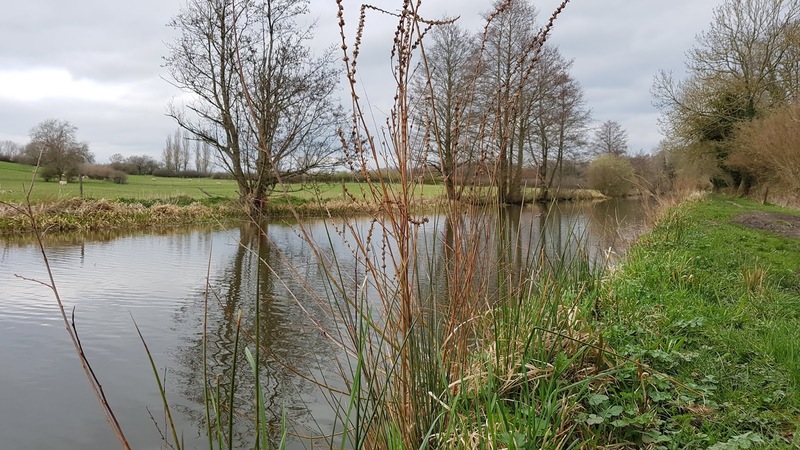 I would leap-frog the rods back down the stretch towards the car, flicking the deadbaits into likely fish-holding areas in the hope of dropping on a fish or two who could be tempted from their stupor by the offer of a free lunch. After two hours the stretch had been walked and every likely looking area covered but I had not had a single bob on the floats, absolutely nothing. I was back at the bridge where the car was parked just as darkness fell and I begrudgingly lowered my gear over the style, resigned to a blank. "No, I can't go home just yet. 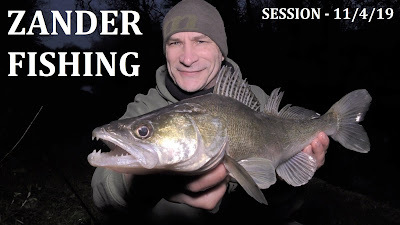 It's zander'o'clock. I'd be daft to leave now". I thought to myself. Ten more minutes below the bridge in the dark, just with the rods, net and camera...one last cast. Obviously, being dark now, I would not be able to see the floats, so I have developed a float-leger setup which, within seconds and the minimum of fuss, can be converted to an effective straight leger rig (not quite as easy as just taking off the float) for just this eventuality. This was done and the rods deployed. One cast to cover on my left and the other right under the road bridge. Bite indication would be baitrunners only with the rods pointed directly at the baits. On these reels they back off so there is literally no resistance. 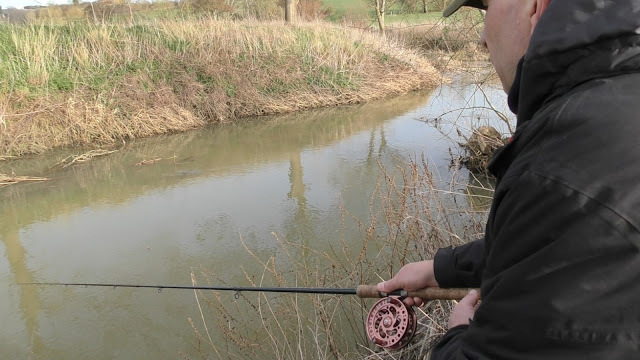 The rig and lead setup means there would be zero chance of receiving a drop-back bite as heavy leads were being used, therefore, whichever way a taking fish swam line would be taken from the reel, the lead forming a pivot/anchor point. 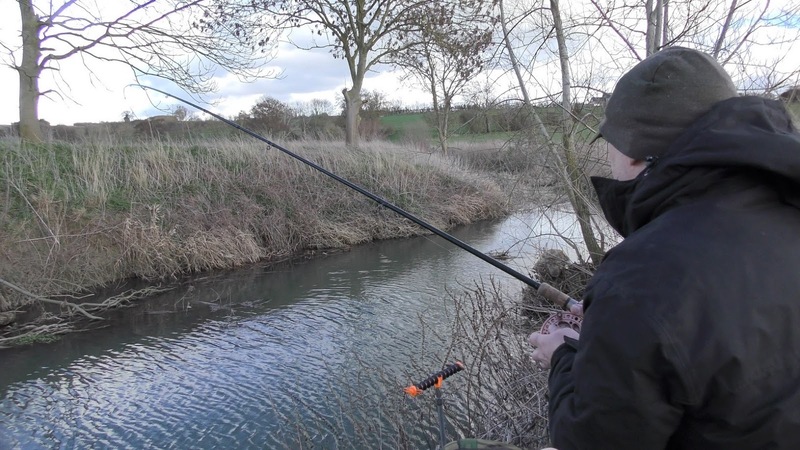 This was the first time I had used this set-up and after a couple of hours of previously unproductive fishing with the floats I had no confidence that it would be tested. Until, from the darkness, and with slight reverb provided by the bridge I heard "click......click...click, click, click". Wow a take, fantastic. I lifted the rod and wound down to the fish. It had indeed moved towards me but the 2.5oz lead had held firm and provided the required anchor point. A short scrap ensued but the schoolie was soon resting in the landing net. 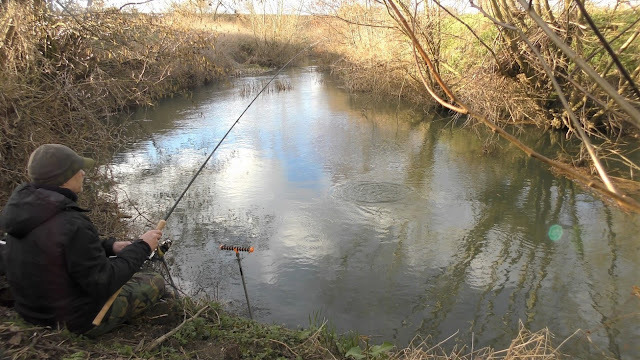 "He's not down there on his own is he" I thought and the other rod was hastily wound in and flicked under the bridge before I unhooked the mini zed. Within seconds the unmistakable "click...click" started again. I chuckled as an image popped into my head. The sound had my brain recollecting the scene from Jaws when the ratchet on the multiplier made a similar noise. I lifted into the zander, this one even smaller than the first and barely would have made a toothpick for the Great White but I was happy. Two in the net, blank avoided and rigs functioning as intended. I can't wait for the next session later in the week. Hopefully the big ones will be hungry. It was with excitement and anticipation that I arrived at the small river after work. This was destined to be my final foray to this stretch before time was called on the season so I was hoping for a memorable session roving the mile or so of bends, glides and deep pools. Well, it certainly was memorable...for the wrong reasons. The river was carrying a little pace, colour and extra height, pretty much the same water conditions as the previous Friday when I had found it hard going, getting only one bite and landing a lovely conditioned chub from the stretch located a mile further downstream. I was hoping for a change in fortune from the previous session. Well, "be careful what you wish for" as the old adage goes. I got my wish and a change of fortune is what I got....I didn't even get one bite! Not a knock. The quiver tip remained lifeless and the float unmolested. Crazy. The river looked absolutely perfect. 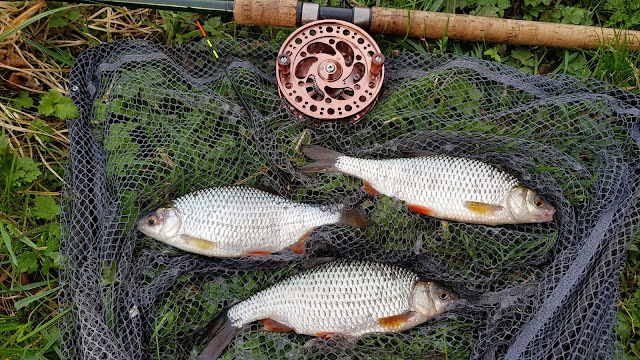 I fished my three banker swims too, all of which have never failed to produce fish previously, and decent fish too...roach and chub. On this occasion however, nothing. Not even any interest. I tried trotting, link legering and even the feeder, fishing a dozen likely looking swims with every bait I had at my disposal, bread, maggots, worms, cheesepaste, garlic meat, pellets. I threw the kitchen sink at them and they stuck two fingers up to me. Oh well, onwards and upwards. That's fishing I guess. One last session is scheduled at the eleventh hour, Thursday evening, which will be on the private stretch of the Avon I have access too. 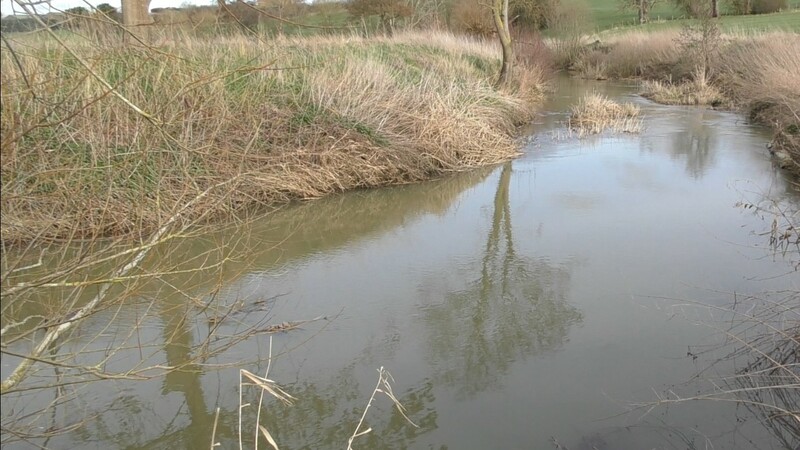 With the river very high and coloured at the moment I think the only realistic targets are barbel and zander. However, the former have been conspicuous by their absence here this year so I have no intention of wasting the last few hours of the season pursuing fish that seem no longer to be in residence. Hopefully I haven't already caught my last fish of the season. Good luck if you are out before the 15th. 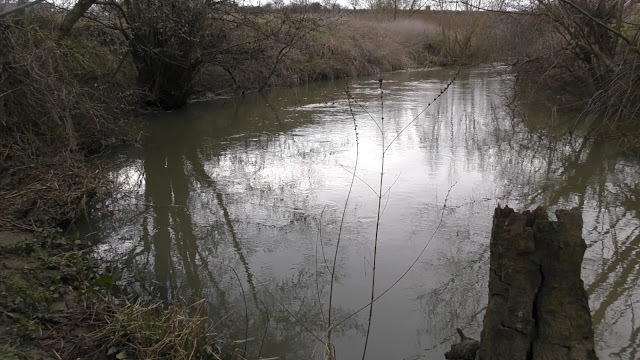 I returned to the small river that I have recently become infatuated with in the hope that the previous few days of rain had increased the levels and the fish's appetite. Slightly different tactics would be employed this time. The link-leger would be used, of course, but also I had brought along a float rod complete with stick float. With the evenings lengthening I would have chance to trot a few swims before the darkness made it impossible. How did things go? 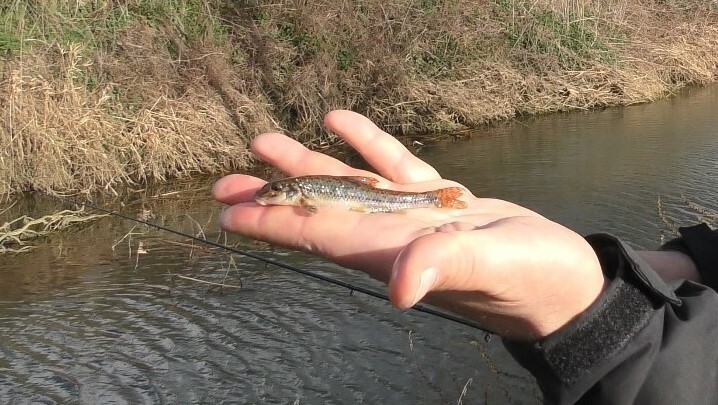 Well, plenty of bites were had but mostly to trotted maggots and all from the smaller residents of the river, minnows, gudgeon and dace. One submersion of the float did result in a nice sized roach but this slipped the hook as it broke the surface. I fished on in the wind and showers, very blustery at times, but with only meagre rewards for my efforts. However, it is great to see the smaller fish are in abundance. A sure sign that the river is in good health. I reached to top of the stretch to be greeted by twilight. Here I did manage to tempt a slightly larger chub with half a lobworm. This had been intended for the beautiful roach that I know reside in this pool who are suckers for worms but it seemed that they had other ideas today. 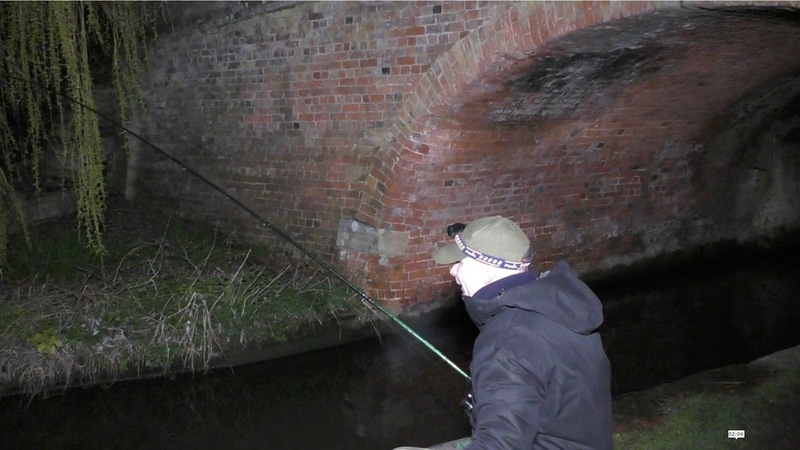 So back down the stretch it was, fishing a few swims in the darkness as I made my way back to the car. However, I didn't receive even one enquiry on the quiver tip. All very unusual. The fish here really do respond well to bread usually but not on this occasion. 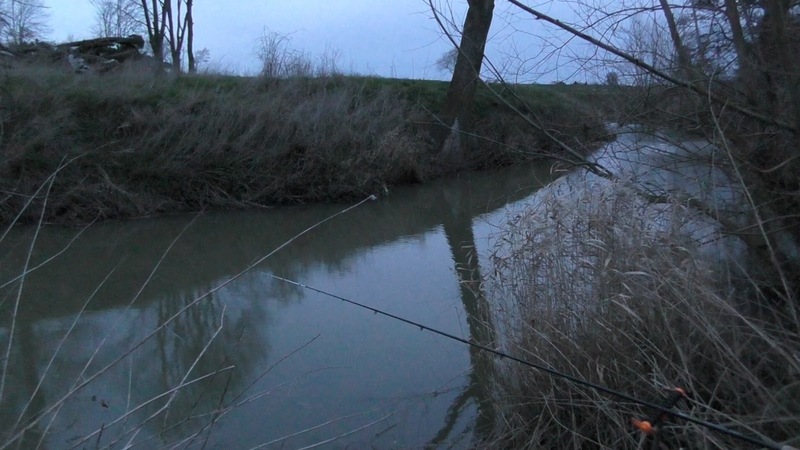 Well, having said that I have yet to catch a roach from this stretch on bread and I have had a few from here now. As darkness fell I turned to my banker smelly baits, namely cheesepaste, flavoured luncheon meat and even pellets but to no avail. In fact I have never had a bite on any of those baits on this stretch at all. I seem to have discovered chub that don't like cheesepaste and roach that don't like bread...mmm, food for thought. 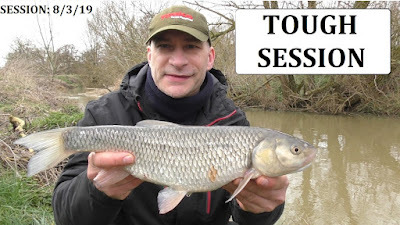 I enjoyed the session anyway and it was great to try a different tactic here for once and that in itself caused me to fish a few swims I would have usually walked past, one where the nice roach was lost. That one is logged in the fishing bank for next time. For this session I decided to do some trotting across the road from my home. 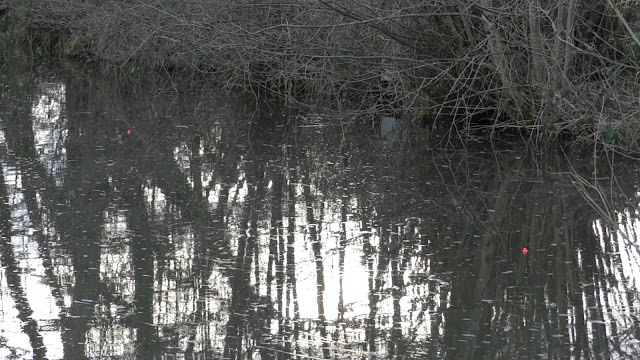 My target would be the chub and roach that reside in the straight above the weir. 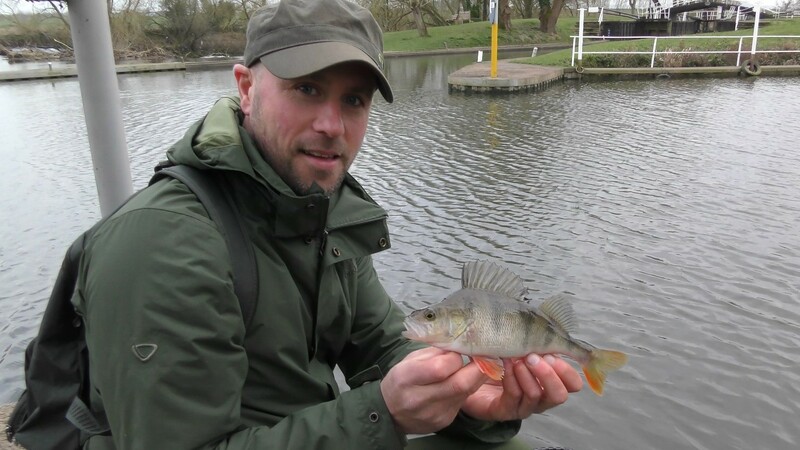 I was joined by my friend James who decided he'd like to do some jigging in and around the lock and marina, hoping to pick up a nice perch. 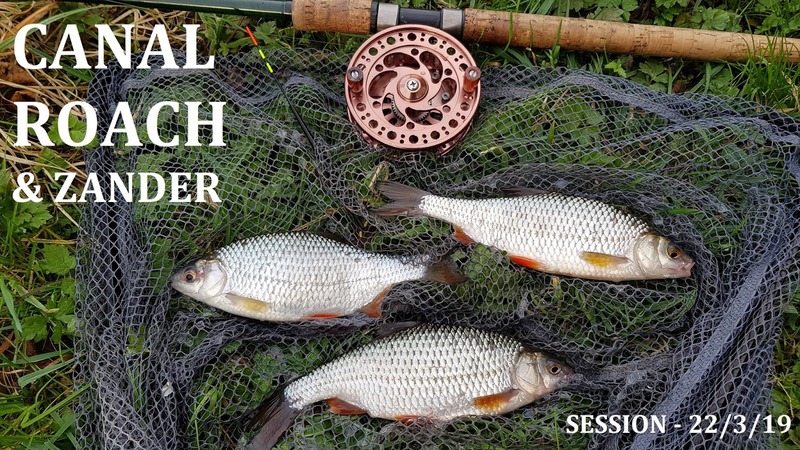 The session started well enough with a couple of small roach caught on the first two runs through but then the swim went dead. Try as I might I couldn't even get a bite after that. I stuck it out for a while before giving best and switching over to the feeder rod. Breadflake and maggots were ignored and switching to a lobworm produced a couple of small wasps perch but that was it. James then gave me a shout, having had a hit on the jig and he'd banked a nice stripey. A move was in order for me and I opted to fish the run below the weir where the lock cut met the main flow. It is a lovely spot to do some long trotting and I have had some great sessions there for the chub previously. However, on this occasion it was not to be. An hour of feeding and running the float through failed to illicit even one bite. I moved back up to the marina to join James for the last half hour of light, knowing from experience that I would be able to catch some small roach there. Even in the toughest conditions the shoals of roach and rudd can be coaxed into biting and a bonus decent sized rudd can often be a welcome reward. Indeed the roach were there and I managed a few out before the light faded too much for me to see the float. 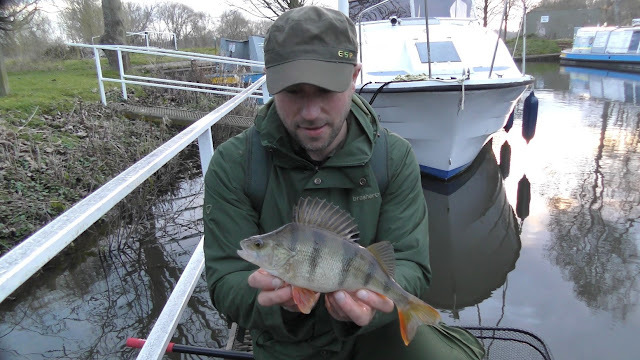 However, as the light dropped James had a slamming take on his jig and managed a really lovely perch, plump with spawn. Not the best session for me but it was good to have a social session for once and at least a blank was avoided.